Hallelujah! Glad to be a blessing to you. Your message reminded me of the days when I first became a Christian, at age thirteen. I had had no church affiliation and, on becoming a Catholic, I chose St. Jude for a patron saint. I chose him because he is the patron of lost causes. As a senior citizen, when I thought about my choice, I realized that I had been depressed at least since 55 years ago. I believed I was a lost cause because I seemed to displease everyone who crossed my path. Even now, I ask myself, “Is this depression or is it normal sorrow caused by a great loss?” As much as I love Jesus and hope to see Him in Heaven some day, I still feel sad to be living every day without the love and companionship of friends. I do have friends from my Bible study, but I am reluctant to try to expand these friendships because of the way my husband and I live. He is basically an atheist and sometimes makes unfriendly comments about religion even in front of my Christian friends. He is intelligent, industrious, gregarious, and a good provider. As a Catholic young adult, I didn’t expect much more from a man. Most men I knew only went to church because they were required to. We’ve been married over 40 years, and I used to have hope always that ‘things will get better”. Now, it seems I no reason to hope. I haven’t found any new friends in years. I do try to convince myself that I have something to live for, but it seems to be true that the future is bleak. Those who support me will die and leave me alone. There are a few truly Christian women whom I enjoy, but they are 100% sold-out Christians who have little acceptance for the ungodly elements in my family life. In other words, it’s hard for me to find positive thoughts and keep them. 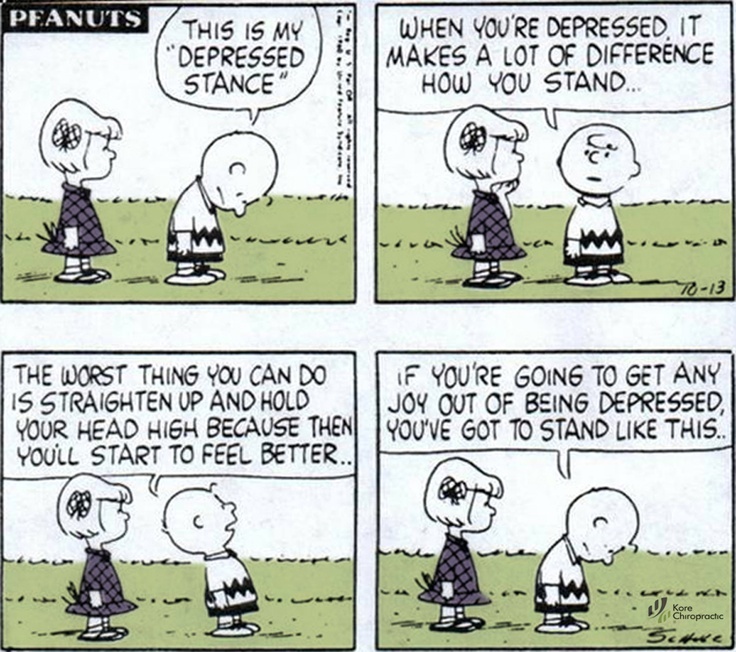 So maybe I’m a Charlie Brown. I keep trying to think my way out of it, Meanwhile, I’ll keep reading your blog, hoping to find some guidance onto another path. It IS helpful that you leave messages and that others make meaningful responses. Thanks to all. Brother Bryan, your blog and posts are a light in the darkness! Even though you are depressed, you carry on. It is the ‘resilience’ that matters. We cannot see the walk but we can feel and sense the pain through your words. I came to God and Jesus in a prison cell after my first high. The corresponding low allowed me to place my faith in the Holy Spirit. I had tried every other way.